Lock in a great price for Salvia Villas – rated 9.1 by recent guests! 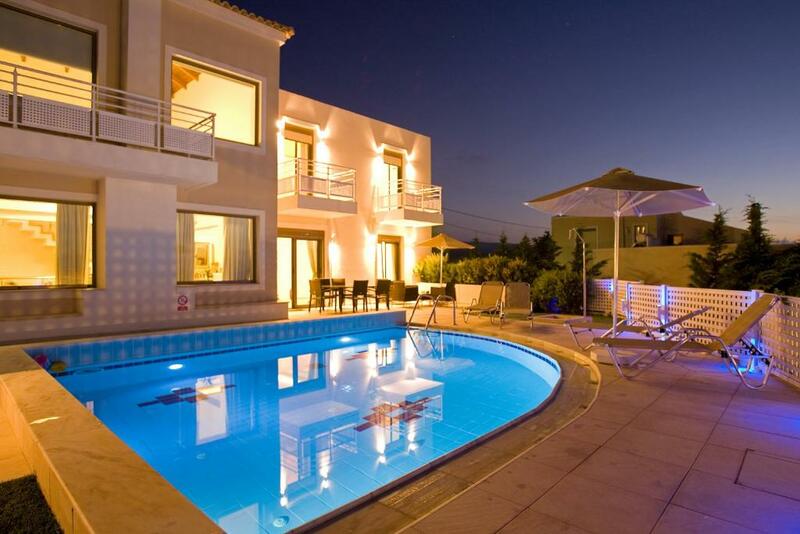 Salvia Villas offers 3-bedroom villas with private pools in Skouloufia village, 11 mi from Rethymno. The complex enjoys 360-degree views across vineyards, olive trees and the sea. 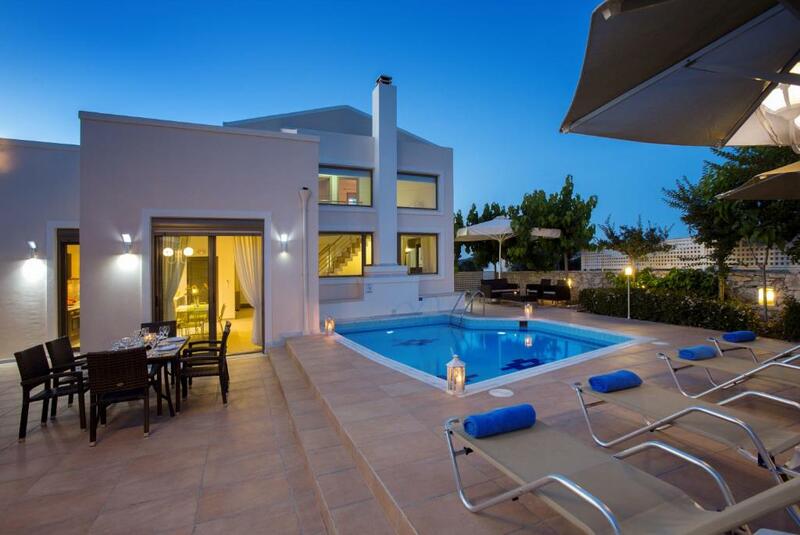 Each elegant two-story villa has a sun terrace and a balcony. The master bedroom has a large bathroom with spa bath and shower. Bathrobes, beach towels, toiletries and slippers are all provided. Villas are fully air-conditioned, and include free Wi-Fi, satellite TV and CD/DVD player. Each has a living room with fireplace, and kitchen with washing machine, electric oven, fridge/freezer and toaster. 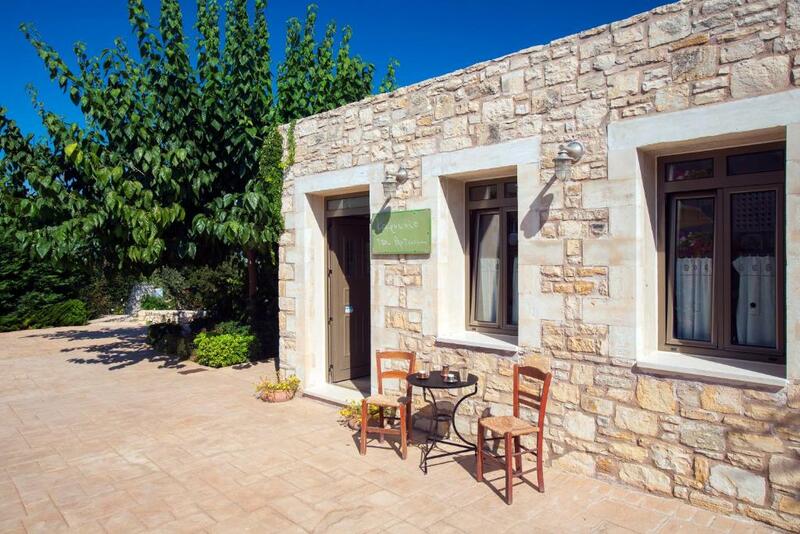 Salvia Villas is 3.1 mi from the nearest beach and 1.9 mi from the ancient town of Elefterna. The long sandy beach of Stavromenos is 5 mi away. In the village there are many traditional cafes and taverns. Free private parking is provided. When would you like to stay at Salvia Villas? -satellite TV and free WiFi. Extra beds and baby cots can be provided. 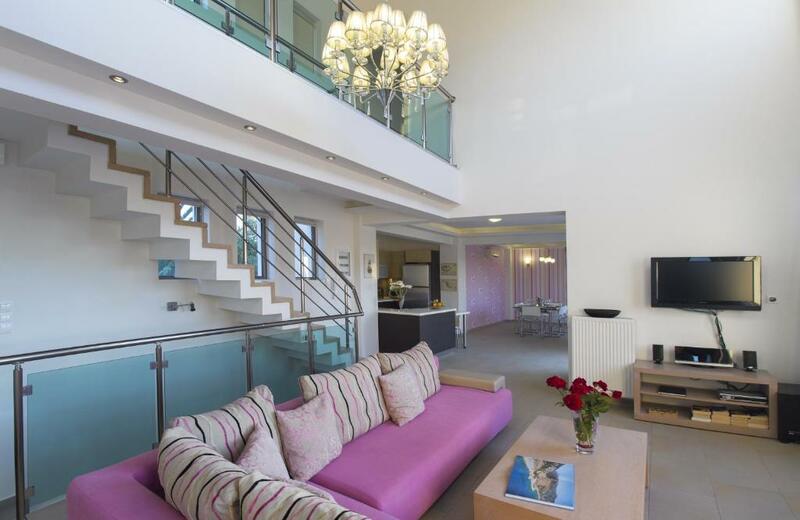 Only a short drive from beautiful sandy beaches and watersports facilities, this modern, three-villa resort is set in an elevated position surrounded by sun terraces and lawns. The villas enjoy spectacular views across vineyards and olive trees to the mountains and sea beyond. House Rules Salvia Villas takes special requests – add in the next step! Other Salvia Villas accepts these cards and reserves the right to temporarily hold an amount prior to arrival. Salvia Villas accepts these cards and reserves the right to temporarily hold an amount prior to arrival. Its a beautiful Villa in quiet hill top, buttom is a nice village full of characters, the property equip with everything you will need just as home, what more is the hospitality of the owner. The villa was very quiet due to each location, spotless clean, surrounded by trees and more than enough private. A fully equipped kitchen made us enjoy our meal every day. The swimming pool was great with a lovely sea view and the communication with the owner was very good from the time we landed. Well it was greater than ever. Thank you!!! Nice modern villa with beautiful gardens and swimming pool. Great host. We arrived very late, around 10pm and found host, Stelio's, waiting for us with welcome drink and keys. He also left us fruits, wine and food for supper. Thank you very much! !